Wow! 31 days. We took 30 of those days looking at directories that go beyond city directories to find mentions of women's lives. So let's take this last day to talk tips for finding your female ancestors. I want to highlight some of the "best practices" that probably became obvious as I added blog posts. 1. Always take time to search by location. This is something I harp on in presentations. I think it's because my research training was not just genealogy so my background included different types of research and resources. Research is more than plugging in a name/date/place. 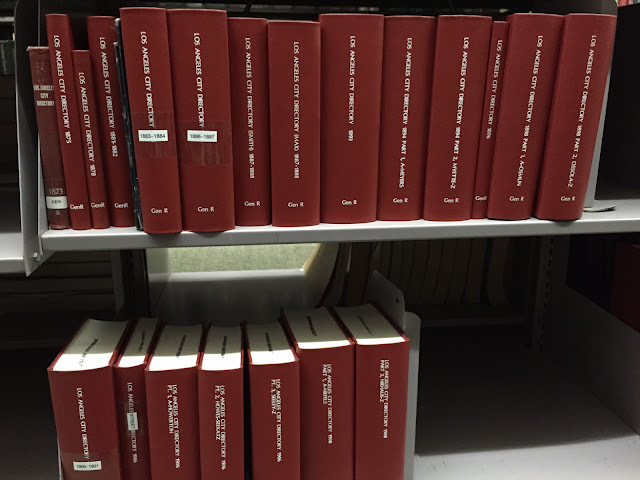 Use websites like WorldCat, ArchiveGrid, and digitized book websites and search by the place your ancestor lived. 2. Don't stop at the homepage search. For genealogy websites, they have so much more to offer than just that homepage search. Explore their card catalog, search by location, check out what databases exist in their collections. That's how you find the hidden gems. 3. Use digitized book websites. These are truly some of the most important websites for genealogy. But because they aren't "genealogy" websites or what they include is not clear they are easy to ignore. Search by place, search by name, just search and explore. Take some time to explore Google Books, Internet Archive, and Hathi Trust today. 4. Research isn't a race, it takes time. We've grown accustomed to the luxury of typing in a name/date/place and like a slot machine, getting a "hit" that adds to our genealogy wealth. But that's not real research. Research requires asking questions, finding what sources have that answer, and searching for them. It requires learning more about the time period and place. It requires curiosity and persistence. The reward is that you learn more about the story of your ancestor's life. Thanks for taking the time this month to read my Women's History Month posts. You can read posts from previous years by clicking on the Women's History Month images to the right. I want to give a general shout-out to my friends, presentation audience, and others who gave me the inspiration for posts this month. Special thanks to Tami Osmer Mize of Conference Keeper who designed the promotional images. Good luck researching your female ancestors! 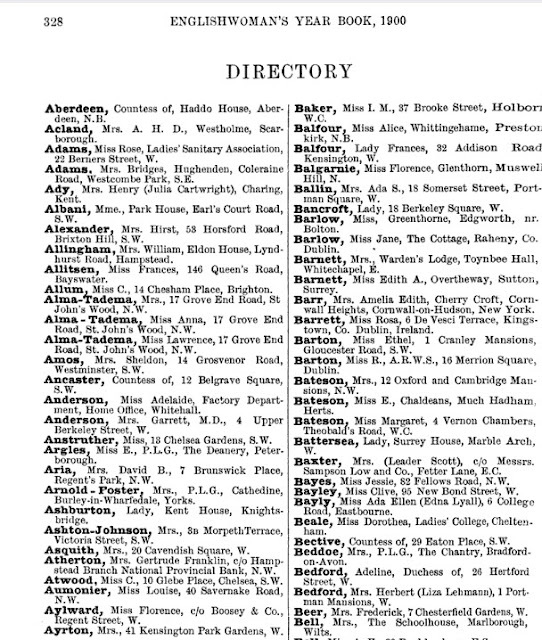 Sometimes a directory might not be as useful for finding an individual ancestor but can help you better understand the world they lived in. 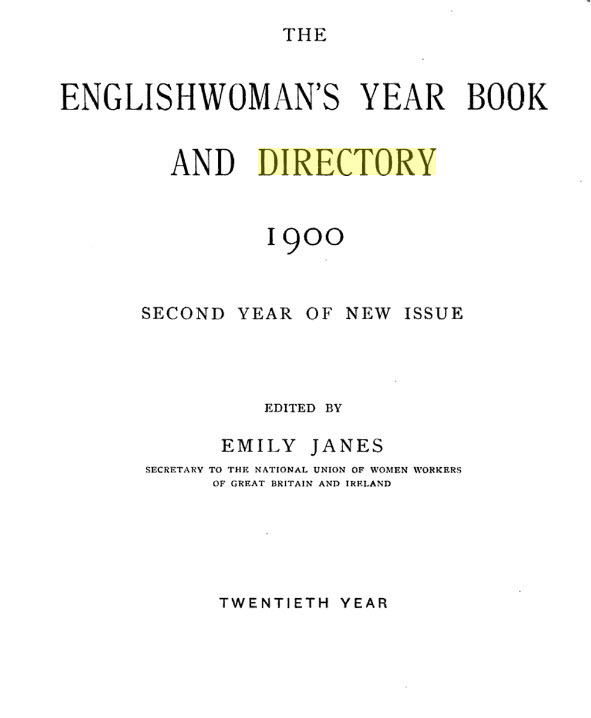 One such directory is The Englishwoman's Year Book and Directory 1900 available on Google Books. 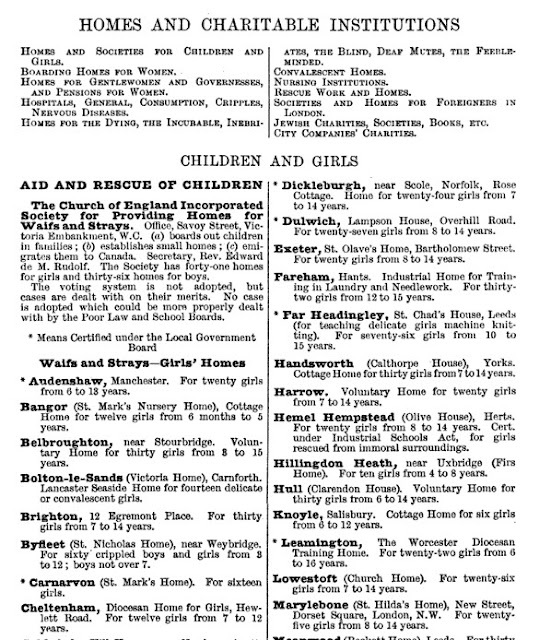 All kinds of institutions are listed here that assisted women and children. And there is even a small obituary section. 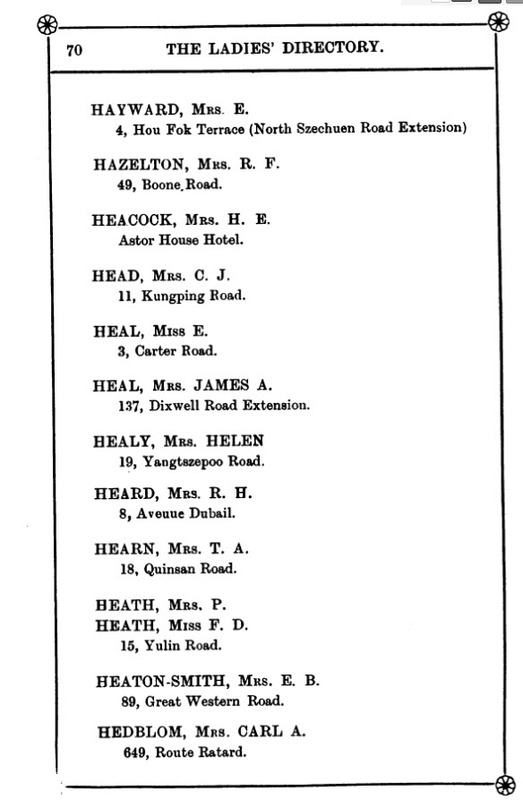 And there is a directory of individual women's names as well. 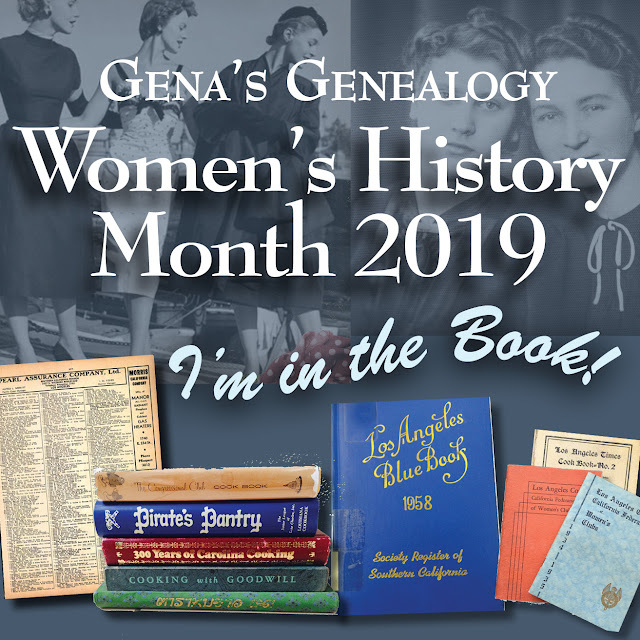 This book has a little bit of everything and even for those who didn't descend from "Ladies" you may find something that can help you with your understanding of your female English ancestor's world. 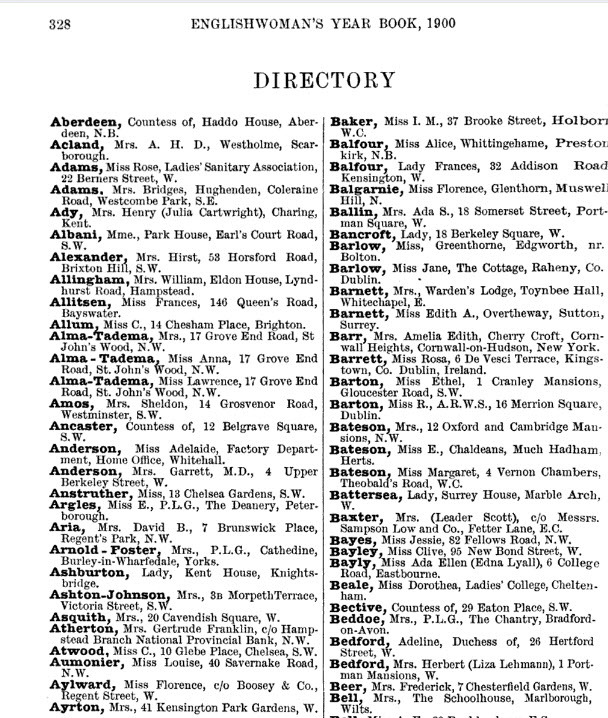 As I was coming up with the list of directories I wanted to talk about this month, there was one directory I knew I wanted to feature, I knew where it was located online, but I couldn't remember what it was called. Lucky for me, describing what the directory looked like, "red directory" yielded the right result. The Ladies' Directory. Red Book for Shanghai for 1916-1921 is available on Hathi Trust . 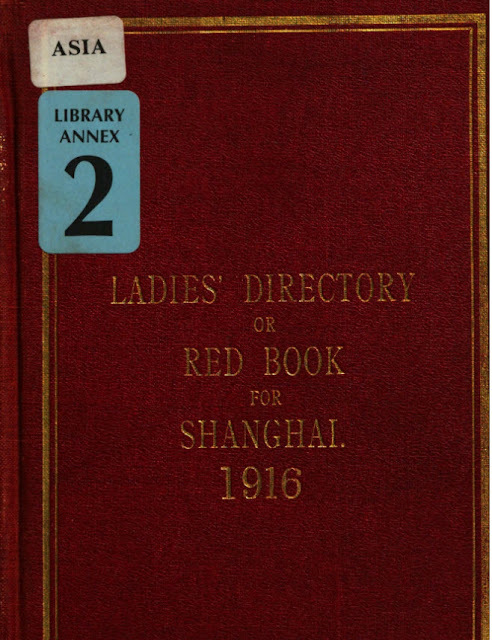 It's a directory for and of British women living in China. According to the bookseller Antipodean, it was compiled by the North China Herald. 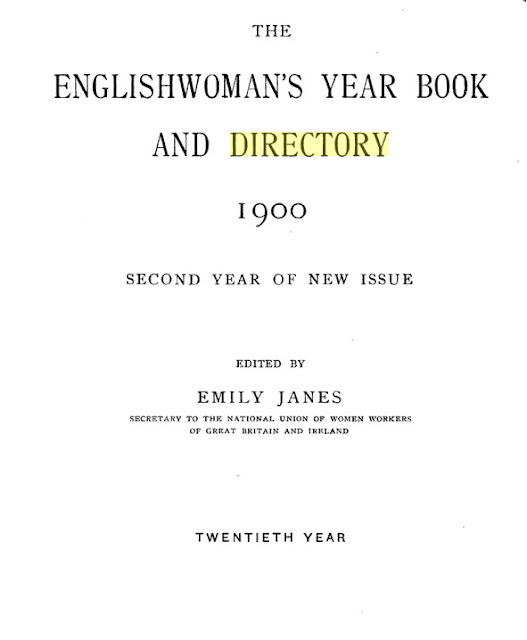 In the 1870 copy they sold it contained, ..." translations of colloquial phrases; translations of roads in the English settlements and in "Hong-Que"; listings of the women's' names, beginning with Mrs. T. Allen and ending with Miss Yates (at the French Concession); advertising for storekeepers; a table listing market prices for foodstuffs; and "Visiting Notes" with each month listed with blanks for visits made and visits received." The 1916 version has pretty much the same content. 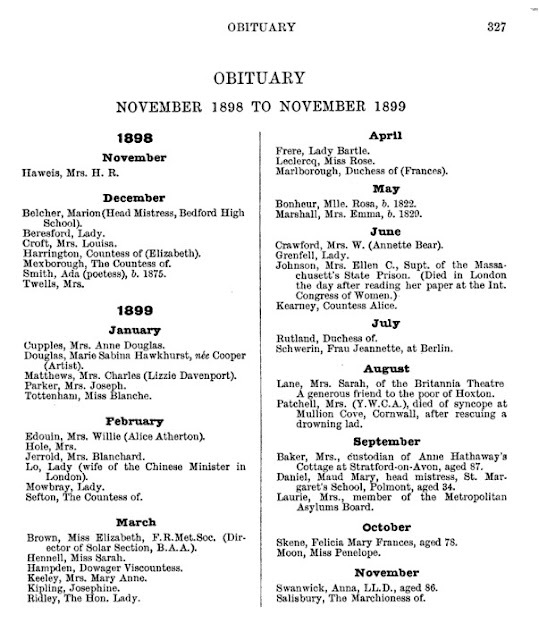 This directory of British women includes both married women and their daughters but in some cases the woman is listed by her husband's name (Mrs. John Smith) or if a daughter, simply Miss Smith. 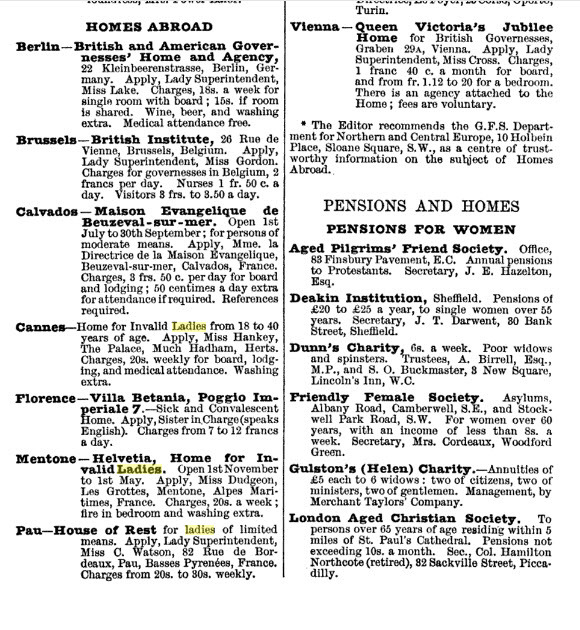 A great directory of women that could be followed up with using other records like their husband's occupation, membership records, and travel records. Other sources might also exist such as a cookbook. I know that in my cookbook collection I have a community cookbook whose recipes come from American women living in an Asian country because of their husband's work. Don't forget that sometimes our temporary circumstances might also be the catalyst for the creation of a directory.